As a system integrator, Cube Automation offers services that can be used to control one piece of equipment as well as a complete factory using the latest automation technologies and manufacturing information systems. 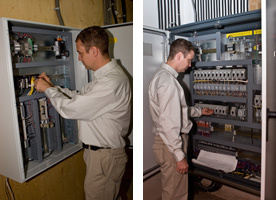 We offer Industrial Control and Automation Services, Products and Systems from leading OEM’s (Allen Bradley, Omron, Siemens, Klockler Moeller, Schneider and others); from PLC, HMI and Variable Speed Drive Programming to Soft Start and Motor Starter setup and commissioning. 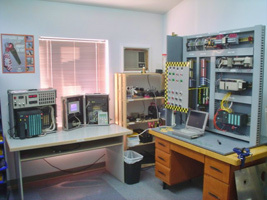 Our workshop is Canadian & US Standard Association (CSA) approved for automation equipment manufacturing (Control Panels & Motor Control Centers). We have a niche expertise in improving process performance combining industrial engineering, automation and information technologies knowledge. We design processes that involve industrial sensors and other special types of instruments such as weighting, bar coding, chemical measurements and machine vision. 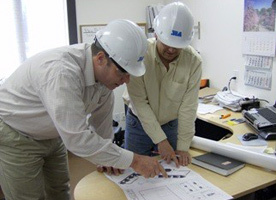 Our key engineers have experience in small to large projects providing design, implementation and project management services, from the light to heavy duty industries to Aerospace. Our team has a strong software background. 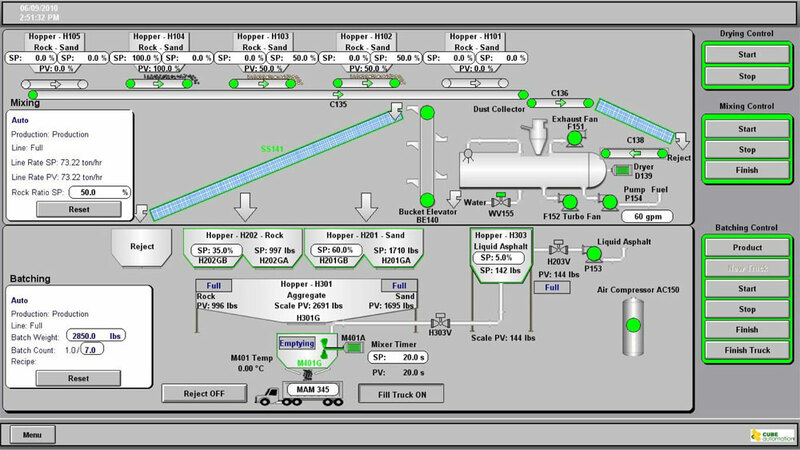 We have the ability to connect process data to database systems in order for the operators, managers and executives to “see” and improve their process performance. We utilize Factory Talk View, RS View, Indusoft and Kepware in the area of System Control and Data Aquisition (SCADA), and program in many popular computer languages such as Microsoft Office Products, Visual Basics, WLanguage and Databases like SQL and Hyperfile. Cube Automation also offers a fully integrated software system designed to help companies manage their operations, while improving overall efficiency, yield and traceability. 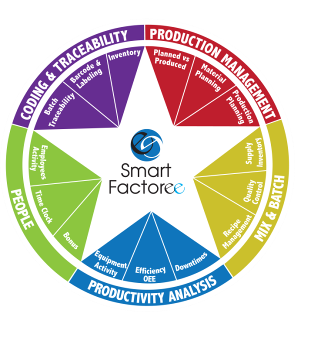 Smart Factoree™ is a modular software system developed for manufacturers and designed to help managers and team leaders coordinate their work, anticipate their needs and analyze their production.